Dogs in Islam, as they are in Rabbinic Judaism, are conventionally thought of as ritually impure. This idea taps into a long tradition that considers even the mere sight of a dog during prayer to have the power to nullify a pious Muslim’s supplications. Similar to many other mistakenly viewed aspects of Islamic history, today both most Muslims and non-Muslims think that Islam and dogs don’t mix. There is, however, quite a different unknown strand of thinking about dogs in Islam, a long history of positive interactions between Muslims and dogs that goes back to the religion’s very beginnings. According to several authoritative accounts of his life and teachings, the Prophet Muhammad himself prayed in the presence of dogs. Many of his cousins and companions, the world’s first Muslims, raised young puppies. In the Mosque of the Prophet in Medina, the second holiest site in the world for Muslims after the Kaaba, dogs were regularly seen frolicking about during the Prophet’s life and for centuries after as well. Canines were also crucial companions during hunting expeditions. Long before Islam, dogs were depicted in stone carvings from ancient Egypt and Iraq running alongside their human owners. Muslims continued this use of dogs. Given this history, where then did the idea that Islam is only hostile to dogs come from? The short answer is disease. About two hundred years ago, ideas about contagion began to change. Still very far from what we would today recognize as germ theory, people in the Middle East, Europe, and elsewhere started to notice a correlation between outbreaks of plague, cholera, and malaria and the physical proximity of victims to places like cemeteries, garbage heaps, and swampy lakes. City planners and governments throughout the Middle East therefore started to excise these sources of disease from the increasingly crowded districts in which their people lived. As they collected and then pushed garbage outside city walls, they also unwittingly removed the dogs that ate this trash. Dogs used to keep streets clean. Now humans did. The historic connections between dogs and trash did not serve the animal well. Not only was there simply less garbage to eat in cities, but the garbage that did remain was now seen as a threat to public hygiene and soon too were its canine consumers. Indeed, in just a few decades in the early nineteenth century, dogs came to be seen as both economically useless and hazardous to public health. The results? Several large-scale dog eradication campaigns, far fewer dogs in Middle Eastern cities, and a change in attitude toward the animal. No longer useful and productive urban residents, dogs were now seen as dangerous, disease-ridden, and expendable. This relatively recent sea change in Muslim attitudes towards dogs explains the dominant view of the animal today. While of course opinions vary and the elite in many Muslim countries keep dogs as status symbols, the majority of Muslims see dogs as dirty, impure, sometimes even evil. As with so much in the Islamic past today, the history of dogs is thus misunderstood by Muslims and non-Muslims alike. Most don’t know and many would likely not be open to the idea that dogs were treasured by the Prophet and millions of Muslims after him. For those of us—Muslims or otherwise—whose most regular interaction with a living nonhuman animal is with a dog, the story of dogs in Islam offers another lesson as well. Humans did not always keep dogs for affection, love, or cuteness. For most of history, they were not pets. They were laborers, economic necessities, hunters, and street cleaners. Apart from dogs that sniff drugs, aid the blind, or chase criminals, very few of us today experience dogs as anything other than that joy that licks our face in the morning. However, throughout history they’ve been much more. Knowing this past not only gives us a fuller picture of the most ubiquitous nonhuman animal we welcome in our midst, but it also helps us to understand how our histories with other animals have shaped our current world. Featured image credit: Edit -1-24 by Dane. CC-BY-2.0 via Flickr. 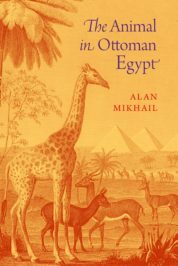 Alan Mikhail, Professor of History at Yale University, is the author of The Animal in Ottoman Egypt and, most recently, Under Osman’s Tree: The Ottoman Empire, Egypt and Environmental History. Fascinating read. It seems there is much attributed to Islam that turns out to be cultural rather than religious per se. There is no prohibition in Islam for keeping dog as a pet, based on Quran. This prohibition is based on false sayings (hadith) attributed to the prophet Muhammad 150 to 200 years after his death. You can Google Hadith+Dog to see why there is such repulsion of dogs in Islam. Interesting read. Also, dogs were not considered impure in Islam, in fact, the Quran (surah kahf) mentions a story of how this dog protected a pious man by guarding the cave he was in. Both were blessed by Allah to sleep for hundreds of years. Unfortunately, today most of the Muslim societies are far from the true concept of Islam. Al-Bukhaari (2145) narrated that Abu Hurayrah (may Allah be pleased with him) said: The Messenger of Allah (peace and blessings of Allah be upon him) said: �Whoever keeps a dog, a qiraat from his good deeds will be deducted every day, except a dog for farming or herding livestock. Muslim (2978) narrated from Abu Hurayrah (may Allah be pleased with him) that the Messenger of Allah (peace and blessings of Allah be upon him) said: Whoever keeps a dog that is not a dog for hunting, herding livestock or farming, two qiraats will be deducted from his reward each day. Muslim (2943) narrated from Abd-Allaah ibn Umar (may Allah be pleased with him) that the Messenger of Allah (peace and blessings of Allah be upon him) said: Whoever keeps a dog, except a dog for herding livestock or a dog for hunting, a qiraat will be deducted from his good deeds each day.Abd-Allaah said: Abu Hurayrah said: Or a dog for farming. Liberal author just trying to make up something they like..
To Syed: “Liberal author just trying to make up something they like” So you think this author is fabricating about the history of dogs and their relationship to humans?However, all of your quotes reinforce this history of working dogs. Herding, hunting and farming dogs are obviously allowed and there’s no penalty. Apparently the messengers don’t like dogs as pets and no doubt due to the reasons the author laid out. I teach ESL and your comment indicates you cannot write English well. Perhaps comprehension is also a challenge for you. But I can compliment you in that your Arabic is probably far better than mine. What was written about dogs was from tradtion and not religion. The author could not mention one hadith or one name of a sahaba, rather just whims from his yale university intellect. Yet in islam we have many ahadith and mames of sahabis claiming against his argument. Yet again a university proffessor trying to brainwash the weak and those that dont respect the honest and true words of our sahabas and prophet. I guess yale does what it does best, that is to discredit islam and prove they have better knowledge and morals than prophets and apostles. But they really respect religion; dont they ..lol..
My friend Umar & Syed Since every thing is a creation of the lord then why discriminate against dog. Dog is an example of faithfulness and loyalty. Feed a dog once and he will protect your home till his death but feed humans umpty no of time and they will still remain ungreatful. I am not generalizing my statement but it holds good for majority of us. God never discriminated against his own creation. These are distorted facts. On the contrary Humans are more impure as they always think of there own vested interest. We potray lions and tiger in limelight and compare them with a warrior or a symbol of great power. Did the humans ever succeed to tame them or were able to win there faithfulness or loyality. Think about it ?? Excellent article. I’m having to have my dog put to sleep soon due to old age. I’m an Anglo-Saxon American and told my supervisor at work that I would be having to put my dog down soon. She, being a Algerian Berber, laughed and told me I should just let the dog out the back door and let it go to die on her own.. I was enraged by her lack of sensitivity. I said some things to her that I probably will regret later. But, after reading this article I can understand there is a great cultural difference in how we perceive interact with dogs. I think, in her culture, dogs are merely tools, working animals, and not worthy of affection. I will probably get fired for my outburst towards her. But, I love my dog much more than I do my job. Not being a Muslim, but an open minded person, I like to read the truth and dislike distorted facts. This is inclusive of past religions in our family where the church at the time changed things to suit themselves- even about icecream and how it turns women to prostitution! What an absolute joke. Great Article!, unfortunately nothing substantial was presented to prove his points. Some people have quoted Ahadith here, which by majority opinion are Sahih of the highest level. I think an intellectual can decide, one or the other based on evidence. The author loves dogs, which is obvious on reading the article, and therefore the article is emotionally charged and extremely biased. I completely agree with the preface, that normally Muslims are cruel towards dogs, which is absolutely abhorrent. We ought to love them, treat them with respect but we simply cannot keep them as pets inside our houses.